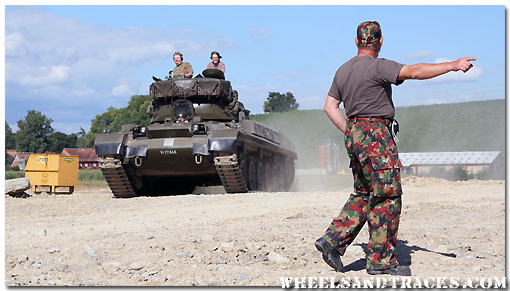 On the weekend of August 9th - 10th, 2008, the "Verein gepanzerte Fahrzeuge der Schweizer Armee" organised the second meeting in Marthalen, Switzerland, in a gravel-pit. 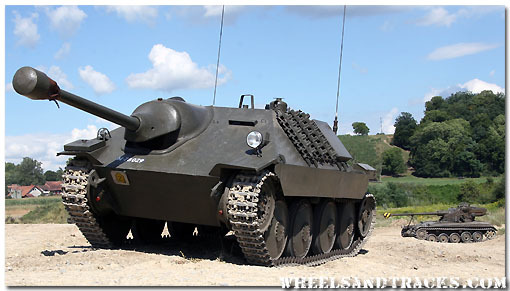 A convoy with two Panzer 68, Panzerhaubitze M109 and an Entpannungspanzer 65 with amongst other vehicles drove on public roads. This meeting was primary for tracked or armored vehicles.